Yay! Second week of guest art. (Or beginning of third) This time around we got some fun from Yvette Gustafsson. Looks like Frr is a bit hungry! Now, what if the real trap is that the hamburger is not vegan? Cue dramatic music. Thank you Yvette for this guest art. Oh, and btw. readers. Yvette is also a webcomic creator! (Among other things) It’s one of the few webcomics purely in swedish and we think you should check it out. 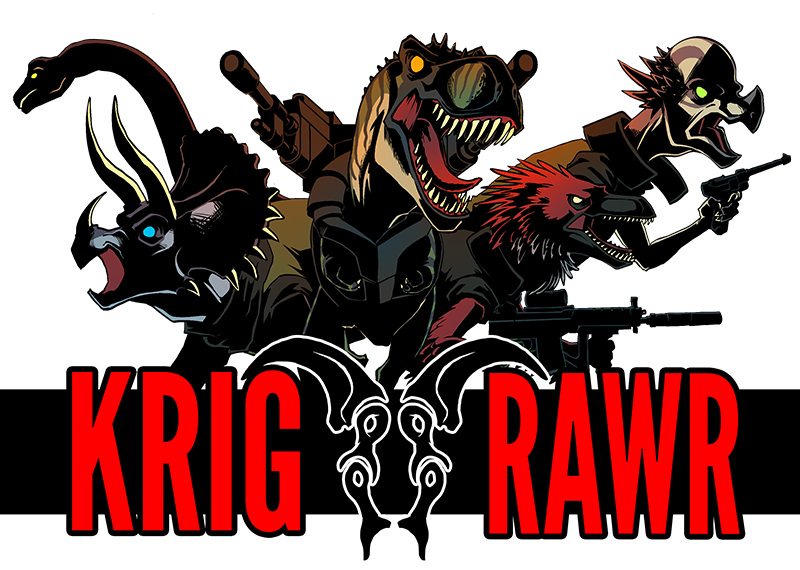 And so that no one forget: We still want more Krig RAWR inspired guest art! Send the image to tomb at svalb.org. Thanks again Yvette! And see you all next week.